This is a very simple plugin that allows you to fly-up using Elytras. Auto-glide: Elytras activates automatically, like it was in snapshots! Speed-up: When your speed is getting low, you can look up and you'll get a speed bost! All features could be configured or disabled in config. My server is on 1.12.2, works perfectly fine, except that I cannot fly up, otherwise its perfectly fine. # to press "space" to start gliding. I hope you can try to fix it in your free time, most free plugin owners do it in their free time. Please reply whenever you can. I understand if you cannot fix it, I'll just have to deal with what I have then. I can give it a go. You can try decreasing the minimum angle. I want to point out that I am also getting this warning just like RazvanRo13. I am using Spigot 1.10. [WARN] [Elytra] Could not save config.yml to plugins\Elytra\config.yml because config.yml already exists. It is probably harmless but would be nice to have it disappear in a next version. For those complaining about 1.10.2, it works perfectly fine already. No need to be updated. For everyone else, I recommend using ENTITY_ENDERDRAGON_FLAP as the sound. It sounds more appropriate and isn't as annoying. Also, for Elytra maps, I recommend disabling the speed-up option, as it makes it very difficult in sudden vertical direction changes. Video removed? Do you have another video about this plugin? Updated, but you need to wait sometime for approval. "why not updated to bukkit 1.10.2 ???" Hey, man! This plugin is created for free and I can work on it only when I have a free time. Please, be patient. why not updated to bukkit 1.10.2 ??? when updating to MC 1.10 ?? 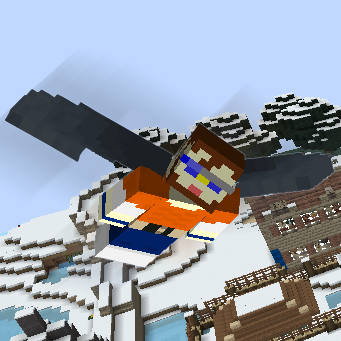 In video have, how to config elytra plugin, and how to fly. Вау, было бы очень здорово!